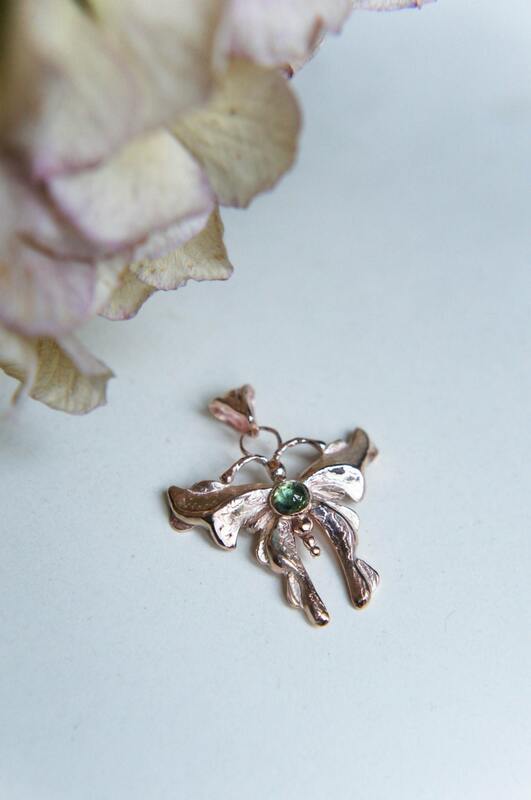 Gold butterfly pendant was made totally by hands in chasing and repousse technique and features romantic design with beautiful green tourmaline cabochon. 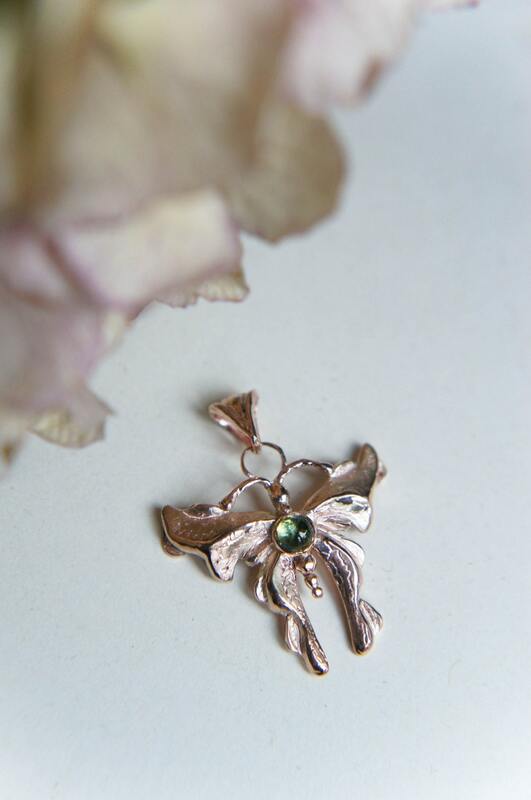 This unique pendant is made from 9K gold (officially hallmarked) and tourmaline is natural. 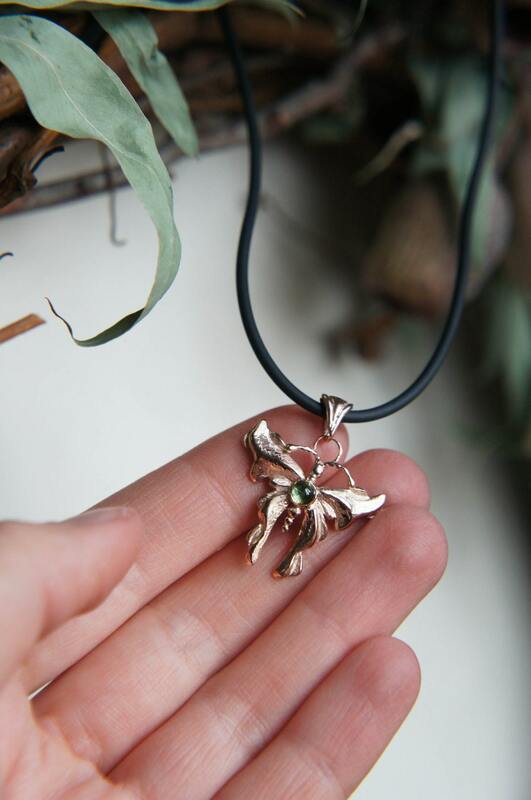 Butterfly jewelry piece can be an unforgettable gift for any girl or woman, it is very romantic and unique due to handcrafted techniques. 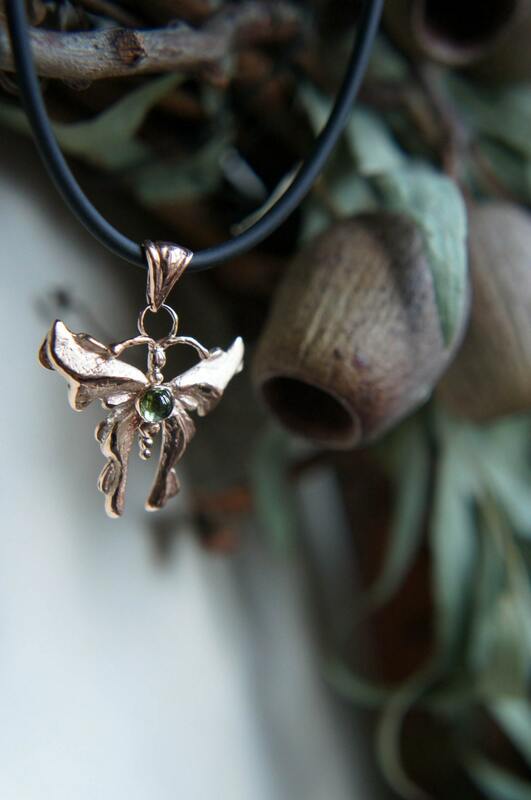 Green tourmaline pendant is ready to ship on next business day. Comes without cord or chain. no molds, no cast, no precise copies, only individual work and unique design. 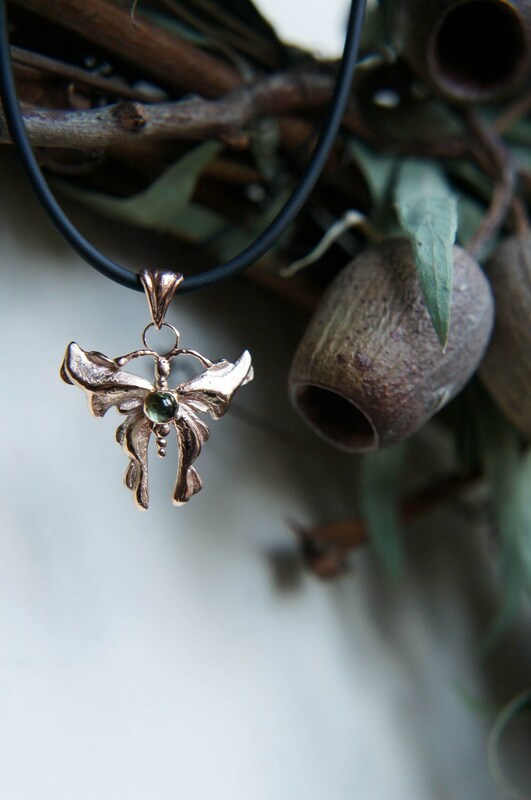 This unique pendant is 100% handcrafted work, we don't use 3D design or molds, only ancient techniques which give a real touch of handmade work.